Riding track, maximum speed, speed, heart rate, calorie and mileage (GPS calculation). 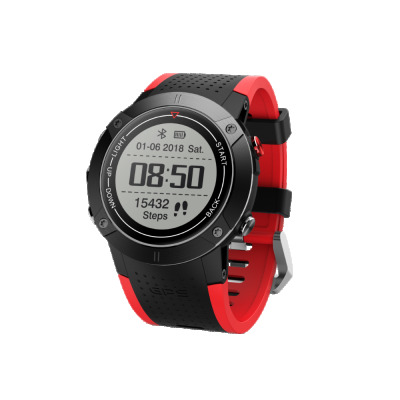 Mountaineering track, heart rate, step number, calorie, height change and mileage (GPS calculation). Heart rate monitoring was monitored every 10 minutes 1 times. English, French, Spanish, Portuguese, Italian, German, Russian, Chinese.